After the success of post ‘List of Hit and Flop Bollywood Movies With Starring Name‘, here we are list of hit and flop movies of Bollywood actress. Although Kat’s first film Boom did not find much appreciation, she managed to catch everyone’s attention towards her. Apart from just couple of flop movies like Yuvraaj and Blue, Kat has always been every Indian’s favorite actress. Here’s the list of Katrina Kaif’s Hit and Flop movies. R… Rajkumar Once Upon A Time In Mumbaai Dobaara! Well, Deepika is certainly every Indian youth’s first crush these days. Deepika started her career with the movie titled ‘Om Shanti Om’ where she acted along with Shah Rukh Khan. The movie went on to become one of the greatest hit in Bollywood. Check Deepika Padukone HairStyles. Talk about real Indian beauty and how could we forget about Priyanka. Priyanka has always delivered up to and beyond the expectations with her acting. Her best movies include Don, Don 2, Barfi and the latest Mary Kom. However there were films like Kismat, Aitraaz, 7 Khoon Maaf and Zanzir where things did not went as expected. Here’s Priyanka’s hit and flop movie list. 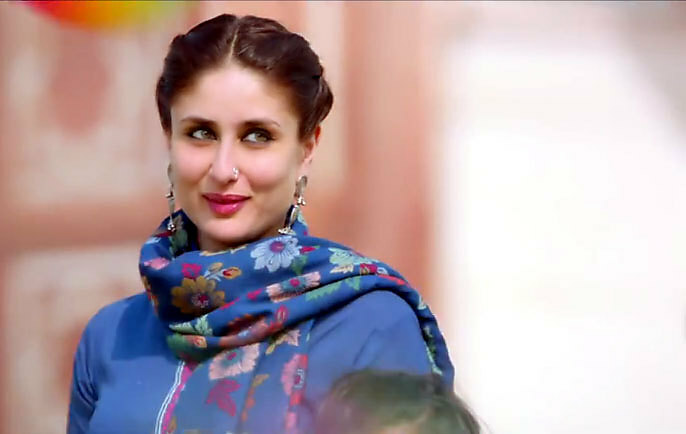 Beauty, Talent and Skills, Kareena has it all. Her best movies include ‘Kabhi Khushi Kabhie Gham…’, 3 Idiots, Bodygaurad and Ra.One. The Bollywood industry has seen many newcomers since last couple of years and one actress that hit the right note was Anushka Sharma. Another example of like father like daughter is Sonam Kapoor, who inherits her acting skills from her father Anil Kapoor. The actress came in lime light with her movie Raanjhanaa where she acted along with star of south movies Dhanush. Although she has seen struggling career since then with giving flop fims like – Bewakoofiyaan, Khoobsurat, Dolly Ki Doli. Sonam Kapoor Style of outfits is very famous among girls. She’s rightfully the ‘Queen’ of Bollywood industry. Known for his leading performance, she made her impact in the Bollywood with movies like Queen, Fashion and Life in a Metro. Her all time hit movies include – Tanu weds Manu and its sequel.